Powdered MnO2 (Natural) is used in the manufacturing of products such as batteries, glass, aromatic chemicals and ceramics. It is also used in the Zinc Smelting Industry. Granular MnO2 is primarily used for water treatment and purification. We make different grades of MnO2 powder ranging from MnO2 60% to MnO2 90%. The powder size ranges from 100 mesh to 300 mesh (BSS). Detailed product specifications can be provided based on the grade selected by the customer. One of our major breakthroughs in the field of MnO2 is our product in Granular form. This product needs a very precise distribution of size ranging from 0.5 mm to 1 mm, 0.425 mm – 0.85 mm, 1mm – 2 mm, 2 mm – 4 mm etc. 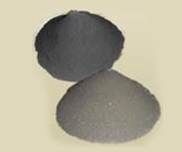 The production capacity of MMCPL for Manganese Dioxide is 500 MT/month.